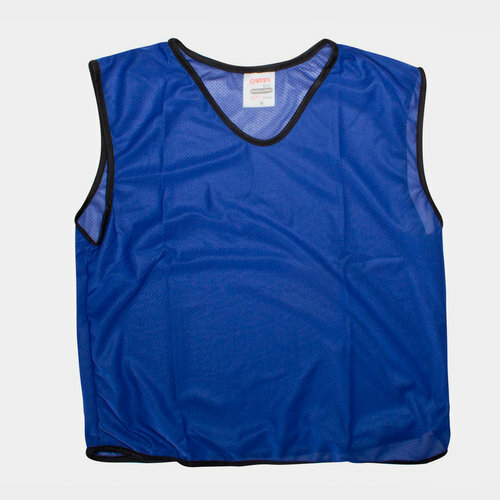 Perfect for practice sessions and warm ups for the big games that matter, kit your team out in these Carta Sports Mesh Polyester Training Bibs in Royal Blue. These quality pullover sleeveless training bibs are made from an extra lightweight polyester mesh material that's non-restrictive and helps keep the wearer cool when in action. They're perfect for a wide variety of training exercises and sports, and also useful for casual games too. Split your players into groups to make the most out of practice sessions by adding these Carta Sports Mesh Polyester Training Bibs to your team kit bag.